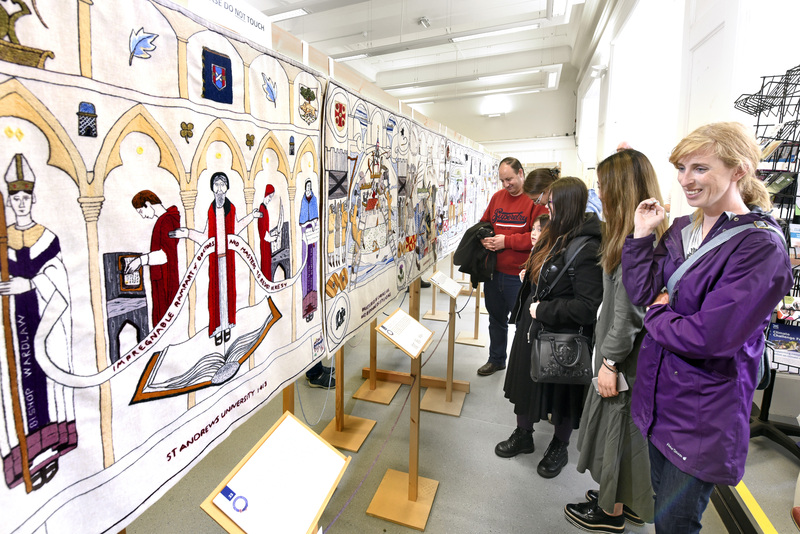 The Great Tapestry of Scotland, one of the UK’s largest ever community arts projects, came to the Speirs Centre, Alloa from May to August 2017. The Speirs Centre was visited by over 32,000 people during the exhibition, almost 9,000 more than the previous year. CTSI, supported by funding from the Year of History, Heritage and Archaeology hosted 37 different events including talks, workshops and demonstrations so that local people could learn more about the rich textile history of Clackmannanshire. CTSI is now giving away all the donations, sponsorship and shops sales from the Tapestry to local groups through its new Local Community Fund which will be launched at Clacks Connect on Wednesday 20th September. Guidelines and the application form will be available on the website thereafter.